The Department for Education commissioned the Association for Physical Education and the Youth Sport Trust to create a national template which has been newly updated, to include swimming data. Head teachers, Governors and Subject Leaders will be able to use this simple reporting mechanism to ensure they are compliant. The Newly revised template support schools with their reporting of their Primary PE & Sport Premium funding. 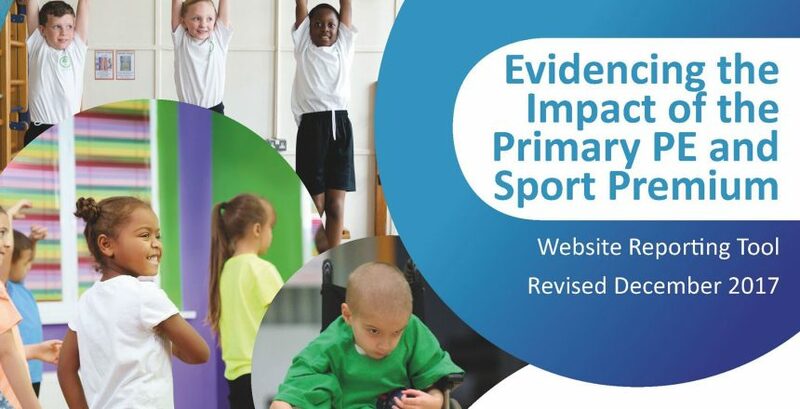 Maintained schools, including those that convert to academies, MUST publish, on their website, information about their use of the Primary PE and Sport Premium. Schools should publish the amount of Primary PE and Sport Premium received; a full breakdown of how it has been spent (or will be spent); what impact the school has seen on pupils’ PE and sport participation and attainment and how the improvements will be sustainable in the future. Schools should also consider how their use of the Primary PE and Sport Premium is giving pupils the opportunity to develop a healthy, active lifestyle. For your free Microsoft Word document of the template.